The Icelandic sheep is one of the world’s oldest and purest breeds of sheep. Throughout its 1100 years of recorded history, they have been truly triple-purpose, treasured for their meat, fiber and milk. Icelandic sheep are sturdy mid-sized woolies with naturally short tails. They are very hardy reliable breeders, with excellent fertility, and are suitable to pasture lambing. They are excellent mothers and their lambs are vigorous and mature early. Lambs are market ready in 4 – 5 months. Their meat is “gourmet, delicately flavored”, for those people who prefer a delicate taste rather than mutton flavor. Ewes average 130-160 pounds and rams average 180-220 pounds. They are beautiful sheep – the combination of long lustrous colorful fleeces, clean dished faces and big soft alert eyes make this breed one of the most beautiful and photogenic of all sheep breeds. The face and legs are free of wool. The fleece is dual-coated and comes in white as well as a range of browns, grays and blacks. There are both horned and polled strains. Left unshorn for the winter, the breed is very cold hardy. The Icelandic sheep produces a premium fleece. The fleece is dual coated, with a fine, soft undercoat called thel and a longer, coarser outer coat called tog. The tog fiber with a spinning count of 56-60 and a micron count of 27-30, grows to a length of 6-8″ in six months. It is lustrous, strong, water- and wear-resistant, and sheds off the rain and weather. The tog was used for twine, embroidery thread, woven for sails, blankets and fine tapestries. The thel fiber is the soft downy undercoat, with a spinning count of 64-70 and a micron count of 19-22, growing to a length of 2-4″. The thel provides the loft for the outer coat and insulation for the sheep. Thel is like fine cashmere, soft and lustrous and is well suited for baby clothes, fine woolen mittens and clothing worn next to the skin. Tog grows from the primary hair follicles and the thel from the secondary follicles. Tog is a true wool, and is not a kemp or guard hair. The combination of the two fibers on the sheep gives superb protection from the cold and wet. If the Thel and the Tog are spun together, it is perfect for sweaters, socks and caps. Icelandic fleece requires less preparation and has far less lanolin than most other wools, so there is less loss. It is the fleece of choice for felting. Handspinners (me too, as I am a Handspinner) say that Icelandic fleece is easy to spin and a delight to work with. No other fleece can compare with its versatility, wide range of natural colors and patterns, and overall quality. Icelandic fleeces are open and low in lanolin. The weight loss when washed is significantly less than many other breeds. Icelandics can carry up to 17 different color and pattern combinations. The color genetics of this breed are a wonderful read and a bit confusing, we have much to learn before we can pass the information on. Icelandics are hardy foragers and do not need grain to do well. Hay in the winter is all that is needed to keep these wonderful critters happy. Ewes begin breeding at 6-7 months and can lamb before they are a year old! This is a very rapid return on investment. Their prolificacy rate is 175-225%. The rams are mature by 6 months and can service 20 ewes. Icelandics are excellent mothers with lots of milk and will nurse triplets without assistance. Icelandics make wonderful mothers and take great care of their young. With an abundance of milk, the lambs are well fed and running around quickly. The ability to nurse up to three lambs is a great asset. It never ceases to amaze me that the lambs are so hardy that they are up and nursing within minutes of being born! Lambs reach market size in 6-8 months on good pasture. Mature weight of the ewes is up to 150 pounds with rams reaching up to 200. They are considered a mid-size sheep. The size of the Icelandics is one of the reasons that they appealed to me. 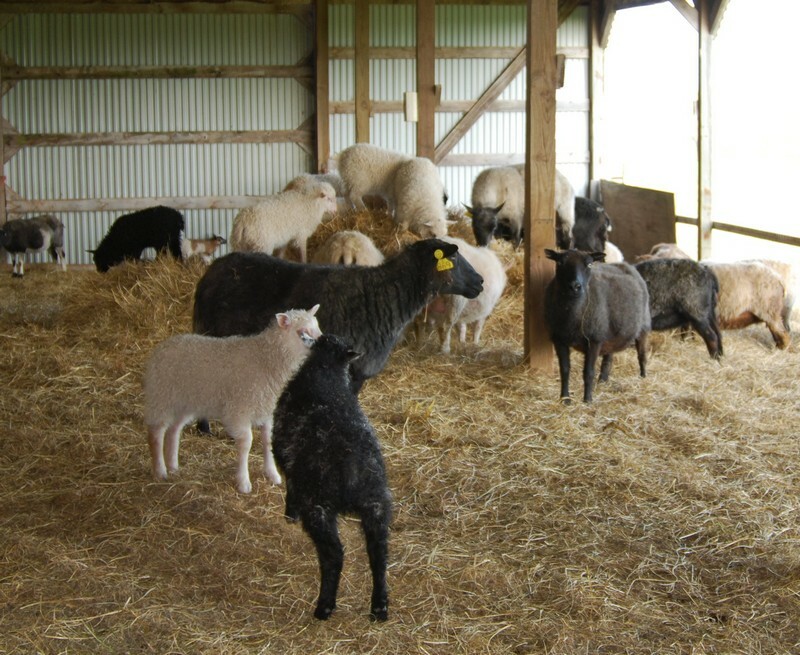 Hardy, healthy, disease resistant – our flock is beautiful, foot rot free, and Scrapie free! 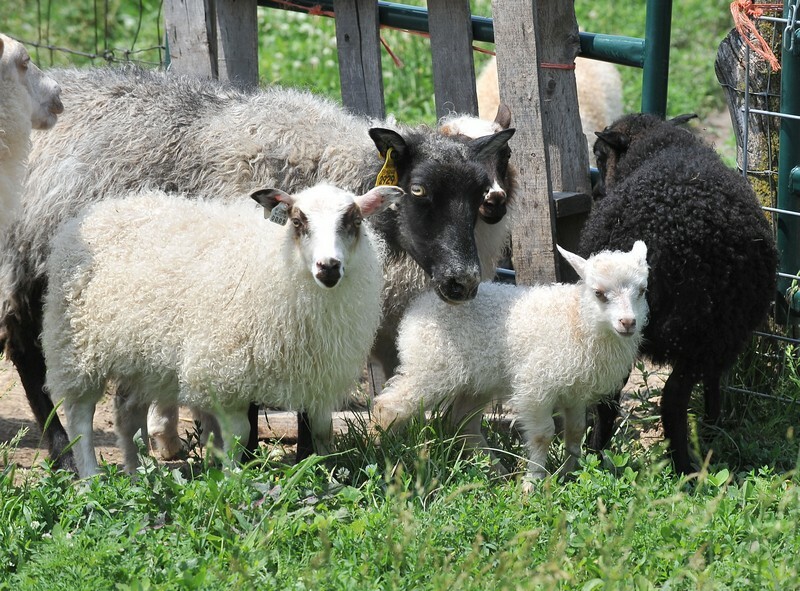 Tongue River Farm LLC — Our foundation ewes and rams came form Susan’s flock. Her web site is extremely helpful and informative. Canadian Livestock Records Corp. — Icelandic Sheep are registered through the Canadian Sheep Breeders Association and records are kept through the CLRC. You can look up registered sheep or find out how to register your own through their website. OK State EDU Sheep — There are many breeds of sheep, this site is the most complete listing that I have ever seen.